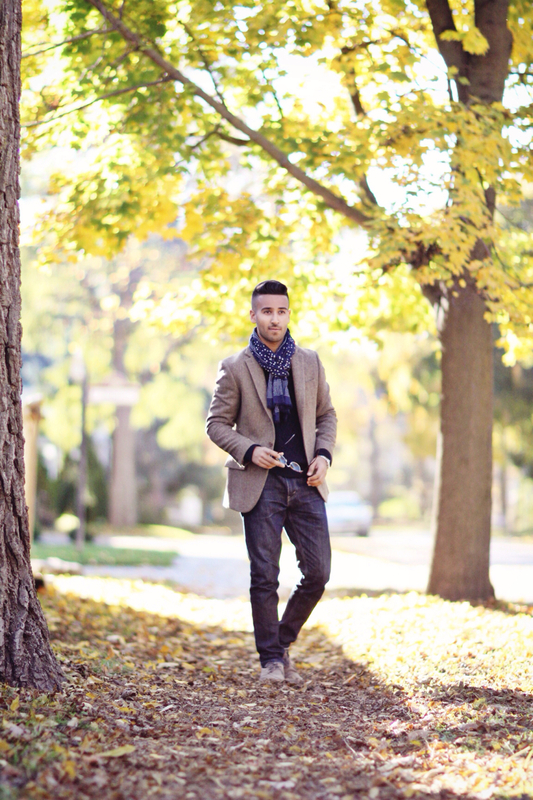 – Keep warm and casual over a cable knit sweater. Sharpen your look by adding an oxford button-up. fit at the waist and thighs while gradually tapering into the shoes. 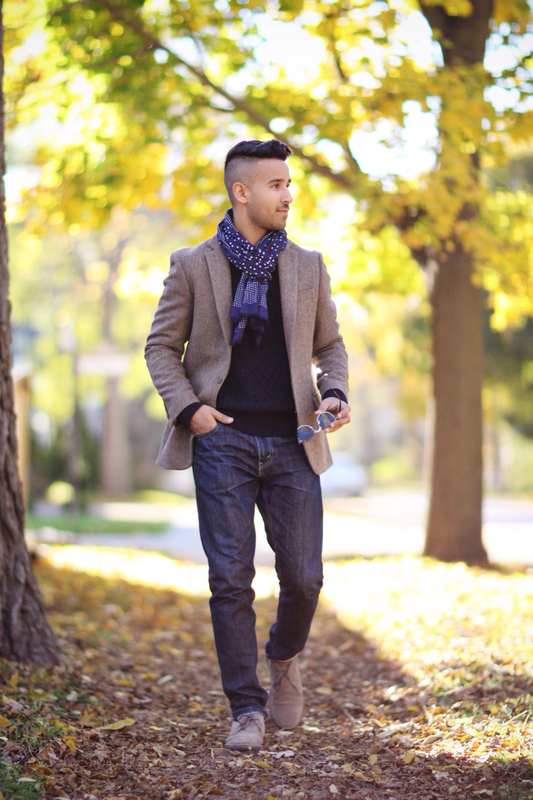 – A beige or grey desert boot accommodates the denim perfectly. 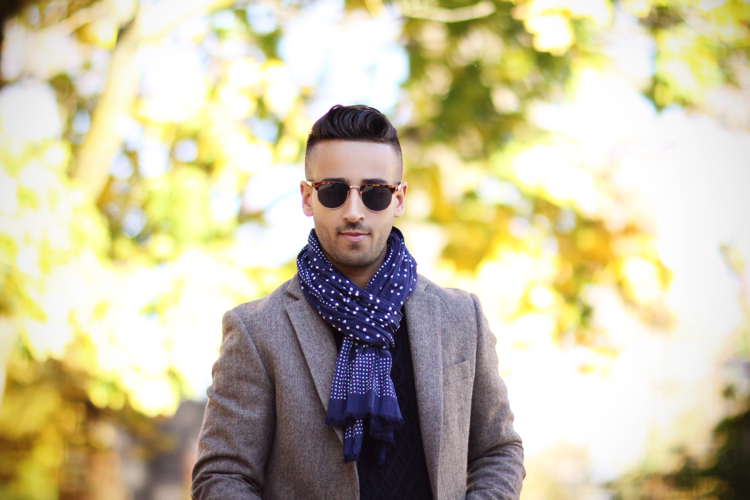 – A patterned scarf completes the look and adds character.